Congratulations to all of the members of our synchronized skating team on their 1st place finish at the 2014 Eastern Synchronized Skating Championships in Hershey, PA. We are so proud of all your hard work this season! GO TERPS! Our club is very excited to begin practices for the collegiate and open-collegiate teams! We happily welcomed new members to our synchronized skating family and are looking forward to our choreography weekend. Our first event, the Capitol Critique, takes place in a few months, so in the meantime we are working hard to finish our programs! Earlier this April, the figure skating club welcomed visiting skaters to UMD's beautiful campus! The group took a tour (lead by one of our very own skaters! ), skated a fun session with the coaches, and went to the Gymkana Homeshow, where they saw student acrobats perform some amazing stunts! The team had a great time with the skaters and can't wait to see what the future of UMD Synchro has in store! The collegiate team traveled to Providence, Rhode Island, at the end of February to compete at Nationals! The Dunkin Donuts arena was packed with elite skaters from across the country, and our team was thrilled and honored to skate among them. After a clean skate, UMD placed 12th in the collegiate division. Also, on the way home, despite a few delays at the airport, the team ran into 9-time US Champion Michelle Kwan! Ice Show with D.C. Edge! 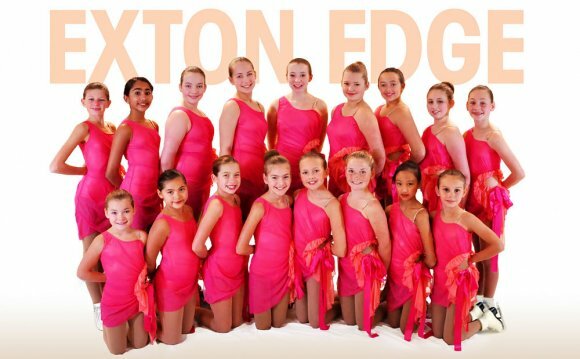 On February 22, our collegiate team performed at DC Edge's National's send-off show in Arlington, VA. It was a great opportunity for us to showcase our improvement since Easterns and begin the countdown to Nationals! Easterns 2015 in Lake Placid! Congratulations to our open collegiate team for a beautiful skate at Easterns this year! We are also very proud of our collegiate line for placing 5th in their division and qualifying for Nationals, which will take place on February 25-28 in Providence, RI. If you're a skater, you know what we mean. Enjoy the video created by some skaters on the synchro team during the 2011 Dr. Porter Synchronized Classic.